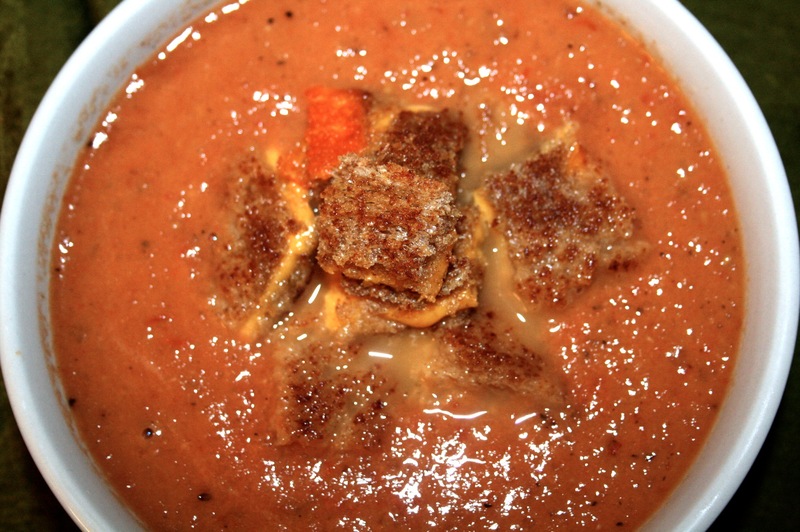 Roasted Tomato Soup with Grilled Cheese Croutons - Kosher In The Kitch! Roasted Tomato Soup with Grilled Cheese Croutons - Kosher In The Kitch! 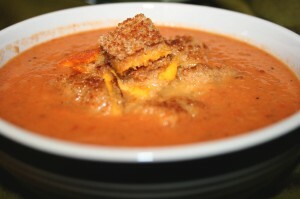 * Tips&Tricks: If you want to make this creamy, add in some milk! What are fire roasted tomatoes? It’s the “flavor” of diced tomatoes. I used Hunts but you could use any diced tomatoes.